Like a corndog or a Doritos Locos taco, a pod of Brewbudz illustrates that two great things become better when combined. Here, cannabis meets caffeine: Each compostable pod of coffee is laced with THC, giving the sipper a single brew of a liquid edible. Brewbudz is the latest in the Keurig-ifcation of marijuana, but even science can’t predict what its effects will be. On its website, the San Diego-based company emphasizes the medical benefits of THC-infused coffee, which, with the recent legalization of marijuana in California, has the potential to become a cafe mainstay. Branded as “a new standard in cannabis infused edibles,” the pods are made from a patented process in which THC is infused into water. This is different from other edibles that rely on THC’s solubility in oil. In a 2014 study published in The Journal of Neuroscience, researchers gave squirrel monkeys, who were already addicted to THC, drugs that reproduced the neurological effects of caffeine. The monkeys were then given the option to self-administer as much or as little THC as they wanted. The researchers found that the monkeys who were given higher doses of the caffeine-like drugs chose to take more hits of THC than those who received lower doses. They believe this is because caffeine blocks a neurotransmitter receptor for the chemical adenosine, which slows down neural activity when it binds to neural receptors. When the monkeys’ adenosine receptors were blocked, they stopped self-administrating THC. This study suggests that higher doses of caffeine increase marijuana use and that drinking lots of coffee could increase the chance of an addiction to marijuana, though similar studies have not been carried out in humans, yet. Marijuana dependence occurs when the brain becomes less sensitive to endocannabinoid neurotransmitters. A 2010 study in Molecular Nutrition & Food Research also argued that caffeine could reinforce addictive behavior when paired with marijuana. Here, the researchers noted that the adenosine receptors, whose activity caffeine helps “elicit a permissive effect towards” cannabinoid receptors. In other words, they were suggesting that caffeine might stimulate the receptors the part of the brain that makes it crave THC’s effects. 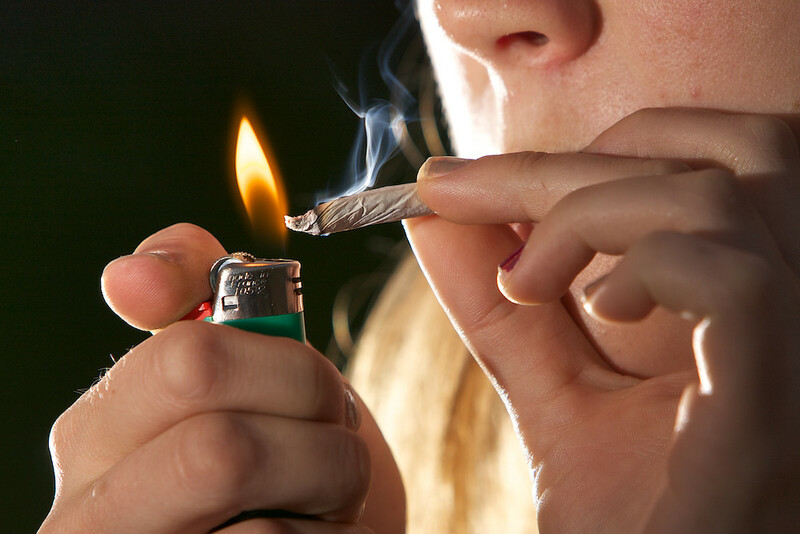 However, while it looks like caffeine and marijuana combined could lead to increased dependency on marijuana, there aren’t enough studies on the subject to say so definitively. If your desire to try out Brewbudz can’t be contained, it might be wisest to limit your intake to sparing doses of a single pod.